Call (330) 821-0397 for an appointment! We are a small and exotic animal AAHA Accredited Veterinary Hospital proud to provide a high standard of care for your pets! Dr. Funk purchased Tri-County Animal Hospital in May 2012 from Dr. Charles Cline who now is retired after 22 years of practice. 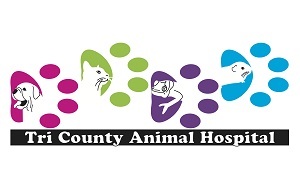 Dr. Funk also provides some additional services to Tri-County Animal Hospital such as in-house digital X-ray, in-house laboratory services, a vast array of surgeries and having her husband, Dr. Mark Funk perform orthopedic surgery. Dr. Funk and her staff are also proud to announce their accreditation with AAHA (American Animal Hospital Association). AAHA is the only organization in the United States and Canada that accredits companion animal hospitals based on standards that go above and beyond state regulations. Accreditation from AAHA means they have passed a voluntary evaluation of more than 900 individual standards, divided into 19 sections. These areas of focus include: patient care and pain management, surgery, pharmacy, state-of-the-art laboratory, exam facilities, medical records, cleanliness, emergency services, dental care, digital diagnostic imaging, anesthesiology and continuing education. Only the top small animal hospitals in the United States and Canada have achieved accreditation by the Association. To maintain accredited status, Tri-County Animal Hospital must continue to be evaluated regularly by AAHA. Dr. Funk and her team are dedicated to upholding the highest standards of care for your pet. To find out more about AAHA and their accreditation and how it will benefit you and your pet, contact us at 330-821-0397 or stop by 22285 State Route 62 E, Alliance, Ohio 44601. You can click on our Facebook link above and like us there for Pet of the Week and valuable pet information! We look forward to seeing you and your pet!